After the Bad Data Lecture on Friday, we will have dinner in a typical Brussels restaurant: Het Goudblommeke van Papier. 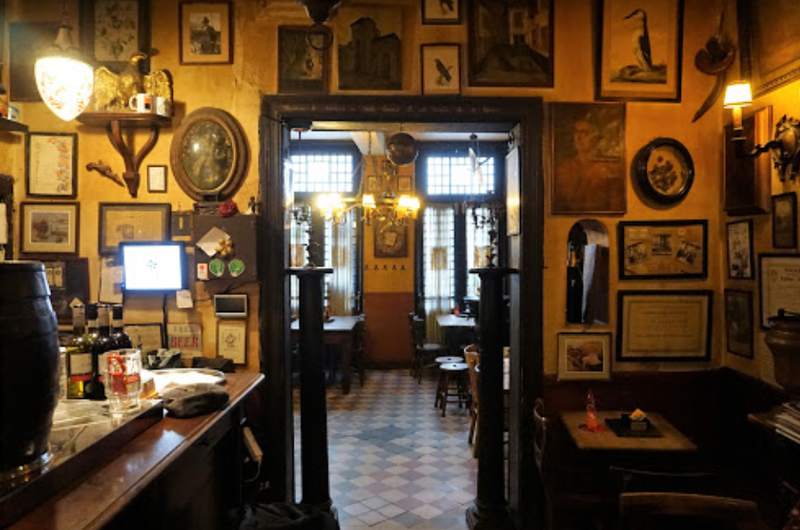 This is one of the most typical 'estaminet' cafés in Brussels, opened towards the end of the second world war in a beautiful historical building, by the poet and art collector Geert van Bruaene. 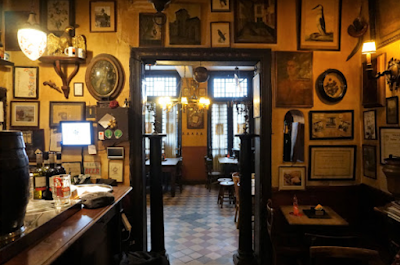 After the war, it became a major gather spot for artists and poets, and well-known figures such as the surrealist painter René Magritte, literary author Hugo Claus, and the creator of Tintin, Georges Remi (Herge), were among its regular customers. Many of the activities of the surrealist movement in Brussels centered around Het Goudblommeke, but it was also important for the avant-garde COBRA group (painters such as Karel Appel and Pierre Alechinsky). For those who enrolled to join us for dinner, we will meet at 18:30 in front of U-Residence to go to the city center of Brussels together by bus (bus 95, direction 'Grand-Place / Grote Markt'). We get off at the stop called 'Grand Sablon / Grote Zavel', and walk to the restaurant from there. We will provide bus tickets for all participants. The restaurant can only accommodate 20 guests, so only the first 20 registrations will be able to come along. After dinner (20:30h), we will have as a evening activity a one-hour guided walking tour passing by Brussels' highlights. This is free for all participants. If you're not joining us for dinner, but you're only joining the city walk, we will meet at 20:30 in front of Het Goudblommeke.